If you are a Japanese student who is studying English in Cebu City, and out of luck you lost your phone, it can be a sad experience. Since I have heard that most Japanese mobile phones lines offers insurance, losing your phone is not that depressing at all. If you lose your phone, the first thing to do is report it to the nearest police station. If there are slim chances that you can recover your lost phone, you might just as well give up. BUT for insurance purposes you can go to a police station. It is advised that you go to the NEAREST police station and ask for a police report. At the station they would ask details of how and what happened and your personal information. If there aren’t many people asking for service, the police report is processed right away. However, if they are packed with work, they will ask you to wait either tomorrow or the day after. 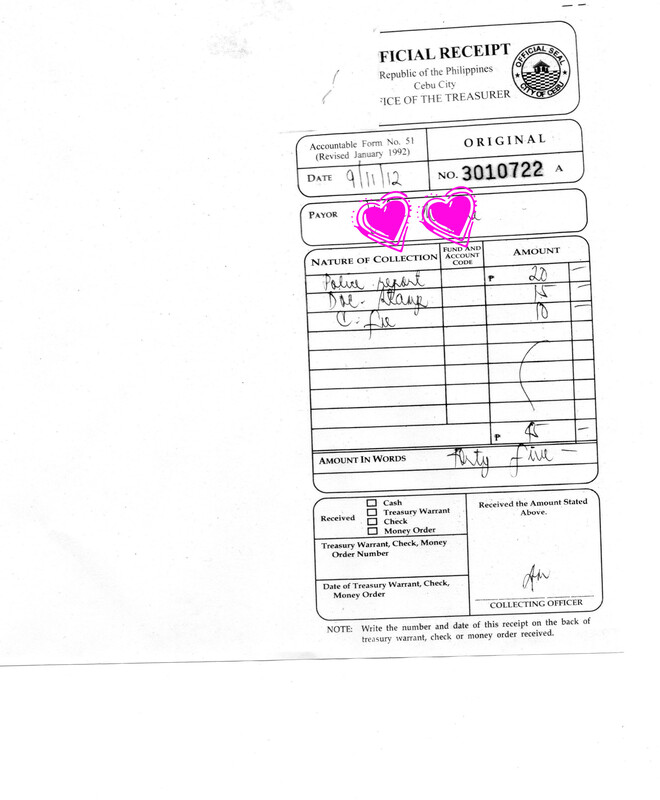 The processing fee is only 45 pesos (Cebu City). 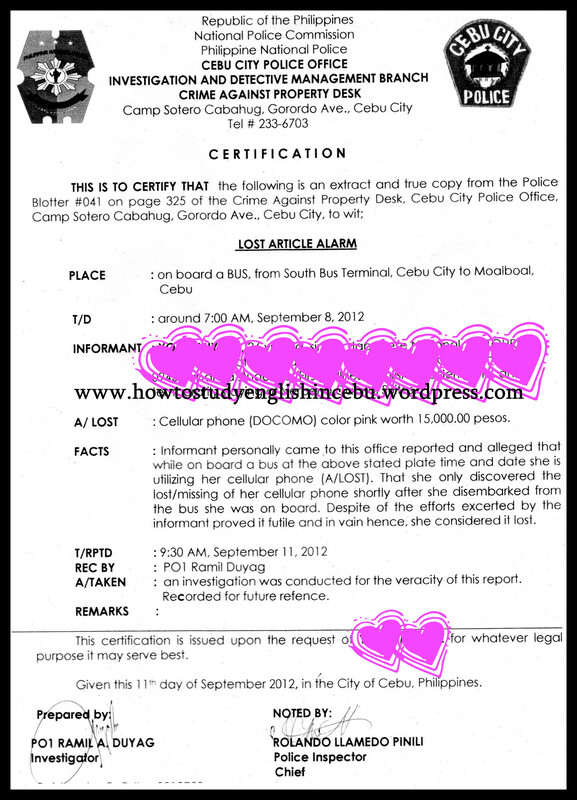 Below is an example of a police report of a Japanese who lost her phone in the bus while she was traveling. For privacy purposes, I covered the name of the student. The INFORMANT is the person’s identity. Name/ Complete Address/ Temporary Address in Cebu City and others. Through this police report, you can get insurance back in your home country. All you have to do, as we ought to is to have back up files of what is stored in our mobile phones. That’s all!